“Welcome, we wish you peace. Welcome to the village, share a song with me.” Those few words speak volumes on Aaron Nigel Smith‘s latest release with One World Chorus, Welcome to the Village, where over 300 children sing renditions of songs from greats like Bob Dylan, Bob Marley, The Beatles, Jewel and Louis Armstrong. Incorporating an eclectic mix of reggae, classical, world and american folk music, among others, Welcome to the Village welcomes families into a cultural celebration of love and gratitude for the things we have and the people around us. 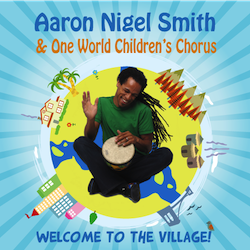 Welcome to the Village is Aaron’s first release with the children of One World Chorus, a non-profit organization committed to using music as a mechanism to “build bridges” for children, both in the United States and abroad. Aaron and his wife, Diedre, co-founded the chorus in 2009. Over the course of the last couple of years, Aaron spent time traveling around the U.S. between Portland, Oregon, Los Angeles, New York City and all the way to Nairobi, Kenya where 30 kids from the Cura Orphanage participated in the recording of this album. The Cura Orphanage is a special place that offers residency for children who have lost their parents to AIDS. Proceeds from the sale of Welcome to the Village will be donated to the orphanage in hopes of building sustainable music and programming. Aaron carries an extensive background in music and movement, which began while he studied and performed with The American Boychoir School at age 11. Seeking out his passion and love for music, Aaron along with his wife Deidre, founded FUNdamentals of Music and Movement in 2002. FUNdamentals of Music and Movement serves as a music program for over 100 early education centers nationwide. As much as it is quite evident that Aaron is a talented musician and songwriter, he has also done an excellent job of selecting songs for Welcome to the Village. On a couple of the songs, Aaron brought in fellow friends and highly acclaimed kindie artists for some sweet collaborations. Starting with a rendition of Bob Dylan’s “Man Gave Names,” Laurie Berkner, Lucky Diaz and Secret Agent 23 Skidoo, each join in as an animal while adding a touch of their personality to the mix. There’s even perhaps a subtle reference to Blue Bear as Lucky sings “…great big furry back with blue hair.” But the real showstopper is when Skidoo jumps in with a quick lyrical jaunt about a Platypus which blew our minds! This strange creature has been of particular interest to my daughter lately. Prior to hearing this song, and in just a few seconds, Skidoo schooled us with way more eloquence than I could have managed. It’s an exciting and well-thought out rendition of this classic, oft covered song. “Grateful,” one of the originals on the album, features Dan Zanes. The song will warm your heart with Zanes’ Dylan-esque vocals encouraging us to give our “friends a big hug for all that they provide.” It’s oozing with sincerity and appreciation for the people around us, the beauty of the planet we live on and the air we breathe. The song is a prime example of Aaron’s talent to write and compose a deeply meaningful, authentic song. But the true authenticity in Welcome to the Village is of course, the voices of the children, including Aaron’s duo with his son Zion on the Beatles’ cover of “Mother Nature’s Son.” In fact, it was Zion’s idea to sing the song and include it on the album. There are also traditional African songs which include rhythmic, multi-layered percussion, signature to the sounds of that culture. It’s actually these songs that my 3-year-old likes the best. Starting with “Fanga Alafia,” Em’s absolute favorite and one that she sings on her own even after the album is over. And, when I don’t sing the correct pronunciation (in her opinion) she is quick to correct me. There is also “Che Che Cole,” a fun call and response song to which Em immediately participates as if she’s part of the chorus, while Aaron calls out and the children respond masterfully. The album ends with a traditional choir song called “Siyahamba” which can be translated into a song about unity and peace. Other notable songs include a slowed down, Dub style rendition of Jewel’s “Hands,” which features the kids from the orphanage. The song fits in nicely with the sentiment behind Welcome to the Village as it was meant to provide hope in the face of misfortune. The song is led by a female soloist whose voice is similar in pitch and tone to Jewel’s. The hauntingly beautiful rendition brings me chills as I hear the innocence and emotion of the children’s voices. There is also the educational “In A Book,” an educational reggae song written by Aaron, featuring his son Zion, as a soloist, along with the kids from the chorus spelling out words. For example: Aaron: “It’s in a book .” Chorus: “That’s right, a b-o-o-k.” Even if your little one can’t quite spell yet, he or she is given the opportunity to learn while singing along with these simple lyrics. My personal favorite happens to be “Sound the Trumpet” which features Aaron (and a male vocalist from the chorus) flexing his operatic muscles on this short, classic piece. I pretty much just love to roll my r’s along with the guys and pretend I actually am an opera singer. Welcome to the Village is a true reflection, regardless of age, who, what or where you are, you can experience and participate in the joy of music. Not to mention children love to hear other children sing and Aaron is no stranger to making quality music for families. In addition to being a father of two sons, who both appear on this album (as soloists and part of the chorus), he has received various parenting awards for his first two releases Let’s Pretend and Everyone Loves to Dance. He has also appeared on the PBS Kids Emmy Award winning show Between the Lions and is featured on several new Music for Little People releases, including Buckwheat Zydeco’s Bayou Boogie, and World Travels. On this album, it literally took a village and then some, to create this special treasure. So kick off your shoes and stay a while; you won’t be disappointed. Ages 2 – 5 will enjoy learning, singing along and participating in the album. See below for videos related to the making of Welcome to the Village. You can learn more about and support One World Chorus here, as well as, the Cura Orphanage Home here. Digital samples and downloads can be found on Amazon. The album is also available for download and purchase on iTunes. Disclosure: I received a copy for possible review and was overjoyed to provide my honest opinion regarding the album. Autumn is my favorite season! And, as we just passed the first day of the season, it’s only appropriate that we celebrate with a free download from Joanie Leeds. “Falling” is a celebration of what makes Autumn so special. Leeds grew up Miami and is now living in New York City. As a northerner, Leeds was inspired by the seasonal shift in her surroundings. With a golden tone to her voice, Leeds takes us on a whimsical ride as she falls in love with crackling leaves beneath her feet and the beautiful colors in the trees above her head. If I were to create a personal soundtrack for Fall, I would want this song playing while running through the leaves and tossing them around with my daughter. It’s just that kind of song. Grab a free download through the Soundcloud widget below and listen to the song while sipping some apple cider, driving to the pumpkin patch or making pie with the bounty you’ve collected from the orchards. 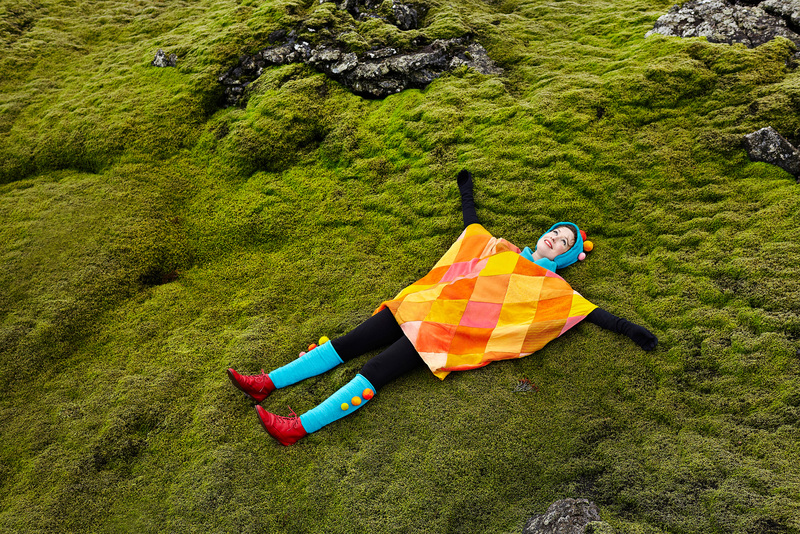 A FREE Caspar Babypants download and a new video! The song, “Take Me To The City Dump” was made in honor of the late J.P. Patches. 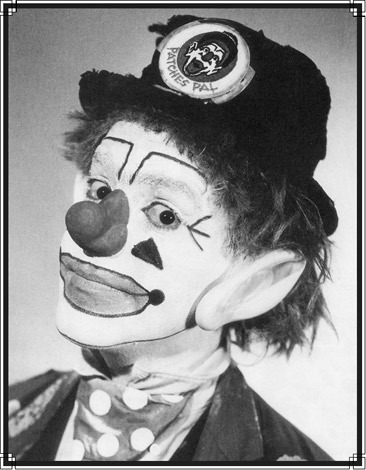 J.P. Patches was a very popular clown and star of The J.P. Patches Show, a long-running and very popular Seattle children’s program. J.P. was a great inspiration for Caspar’s frontman Chris Ballew. In fact, the song was written by Ballew and performed at J.P’s public memorial service. The song is exclusive to this video and will not be on the new album but hey, anytime we can get our hands on some new Caspar stuff it always brightens our day. Check out the video below and grab a free download of the song here. We are currently going through the stage in my daughter’s life where she is afraid of the dark. So, before she goes to bed, we talk about things that are colorful and bring joy into her life. Often times, it’s things like ladybugs, rainbows, flowers, puppies, cookies, lollipops, you get the idea. Recently, we purchased a wooden dog on wheels from Plan Toys that has been sleeping in her room at night. We have also been listening to Elska non-stop. “Arctic Fox” is one of the songs that really resonates with her. As a result, she has decided that her new friend is an “Arctic Dog” who will bring her good dreams. “Arctic Fox,” the second video from Elska, provides us with another clue as to what happens on the Island of Elska. The video is similar to Elska’s first release “Hiddi Hiddi” except we are introduced to the elusive Arctic Fox who sleeps on her head at night and brings good dreams. Thanks to Andy Biddle‘s stop-motion animation, the Arctic Fox is brought to life and is just as cuddly as the song makes him out to be. Putumayo Kids, LeapFrog and Pictures! Ok, I admit it, a huge motivation for me to drive 30 minutes and pay close to $40 on admission for our local Children’s Museum is because they have a dance room which plays nothing but Putumayo Kids albums. And even though said museum is a great playground for those that toddle, we spend most of our time movin’ to eclectic compilations as they come to life through surround sound speakers. Of course, trying to catch the moving lights on the floor and sparkles from the disco ball is fun too, but it’s all way more colorful when you are surrounded by world beats. So, I am pleased to announce that Putumayo Kids is partnering up with LeapFrog and will release 4 of its award-winning full-length Playground CDs exclusively from LeapFrog’s App Center (http://www.leapfrog.com/en/appcenter.html) for Leapfrog’s LeapPad1 and the recently launched LeapPad2 and LeapsterGS. Three of the four digital releases, European Playground, Jazz Playground and Cowboy Playground, are now available at the link above. 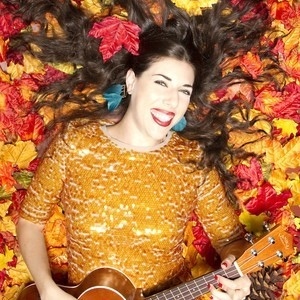 The fourth upcoming release, World Sing-Along, includes two songs featuring Dan Zanes, as well as, Frances England’s “That’s What Friends Are For” (originally featured on the Many Hands: Family Music For Haiti release from Spare the Rock Records). Children from Pihcintu Multicultural Children’s Choir, which features refugee girls mostly from war-torn regions, will sing “Around the World” to close the album. The release will be made available to the general public on October 30th and through the LeapFrog App Center on November 6th. You can enjoy a free preview the album through the Bandcamp widget below. Putumayo World Music will contribute $5,000 from sales of World Sing-Along during the period October 2012 through October 2014 to Population Services Internation (PSI) in support of its Five & Alive® campaign to ensure that all children have a healthy start to life, no matter where they are born. For more information about PSI, please visit www.psi.org. Putumayo is also pleased to offer its first photography calendar, Children of the World, featuring images of children from Africa, Asia and Latin America by renowned photographer Jon Kaplan. Ten percent of Putumayo’s sales of the calendar (available October 1st), will be contributed to Seva (www.seva.org), a nonprofit organization which builds sustainable health programs that serve vulnerable populations around the world and help end preventable blindness, that has restored eyesight to more than 3 million people.